Not really a question, but more of just a narrative of my experiences with more LW additions to my pack. I know having a little booze in the back country is not for everyone, so if you don't partake, stop reading and move on. I've always carried some booze into the back country if I'm going to an area that allows camp fires. In the past I've always taken Jaegermeister and a few canned beers. But as we can assume, this stuff is heavy!!! I've done three trips yet this early summer and have switched to Bacardi 151. I figure that by switching to 151, I've dropped my booze weight and bulk by at least 66%. And the drink I make is even quite tasty and is fantastic to sip around the camp fire while cooking my trout dinners. Obviously, the 151 is heavily laden with what my soul craves - alcohol!! It is 75% booze compared to the 35% booze content of Jaeger. I bought a ten pack of single servings of Ocean Spray Cranberry-Pomegranate powered drink mix. One tiny sleeve of powder is perfect for turning one of my 24oz water bottles into delicious juice which I heavily dilute the intensity of the Bacardi 151. Water is free and abundant in the back country, why not use this to our advantage, eh?!?! Tastes just like regular Bacardi and juice from the bar. In summers past, the little booze I took up the hills has always been a serious weight issue. I've shaved about 3-4 pounds off my weight this summer just with this nice little trick.........and the 151 has an added bonus. 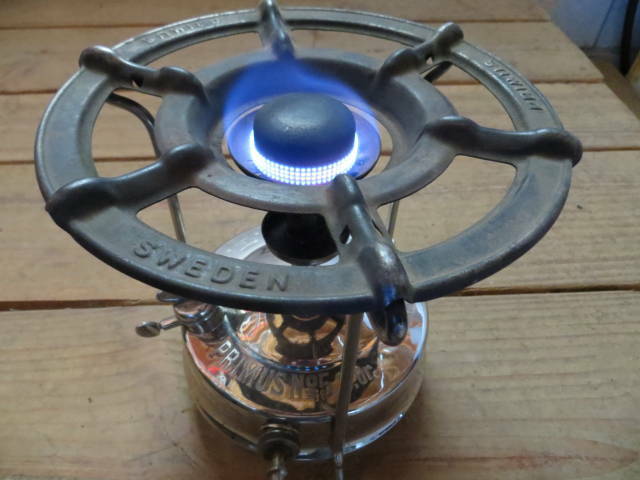 It is extremely flammable and would come in handy during a rainy night trying to start a fire. One ounce of 151 sprinkled on your kindling is a guaranteed way to start a fire in wet conditions. 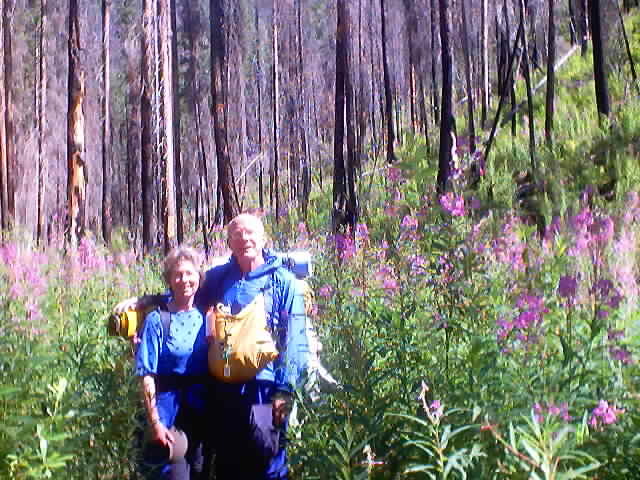 A long time ago, a pair of us who loved the outdoors and our hooch were hiking partners. I carried 151 proof Rum and my buddy carried Scotch. Near the end of the trip, neither of us wanted to drink alone, so we would pool the hooch. Depending on the season and location, we had two names for it. 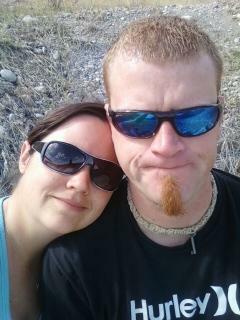 If it was cool and there was snow or ice near by, we called it "Roch on the Rocks". If it was warmer, we called the combined hooch simply "Scum". we had consumed her beer load down to a more manageable weight (warm beer, 90 degree heat, day just starting) the other end of that island started to look a LOT further away. I've considered starting to use everclear as stove fuel. The lightest way to carry drinking alcohol, and if you combine with water and any number of powdered drink mixes, you can concoct some mighty tasty drinks. The booze just has to be used very sparingly due to its strength. The stuff is just so expensive, I haven't made the switch from HEET yet. Gotta love the booze, especially on the trail. I usually bring 151 as well. Never needed to use it as fire starter, though I think that might be a very tough decision for me hehe. My buddy will carry a bottle of something also, he varies what he brings...never beer though. The only time I would bring beer camping is car camping or at festivals. Neat trick to cool down drinks provided there is water around. I tie the hot booze bottle or water I just boiled and dip it in to the body of water and let it sit for a while. Obviously I wouldn't dip my bottles in to scum laden water, but ya know what I mean. Eventually it cools down and is refreshing. I did this a lot in the Great Smokies last summer. Was hot 85+ days, I boiled water and dipped it in to the fresh cool river nearby. Worked like a charm! At the liquor stores in PA, they often sell "travel" bottles of Jim Beam. Travel in this case means 750ml in a light plastic bottle, with a thinner/lighter cap. Certainly not the lightest bottle you could use, but my hiking buddies and I would often grab one and just stuff it on the outside of the backpack as is. Our other favorite - and this is just for kicks - is wild turkey 101 on any hike where there's a good chance we'll see wild turkeys. Something about marching around with the gobbling in the woods to make that sip o' whiskey at the end of the night that much more delicious. The 101 proof also makes it pack a bigger punch than regular booze. I have found it to be a nice way to end the day with a little single malt Scotch. I don't bring all that much, but to save a little weight I go with cask strength, which can be diluted more than regular. ok, so our theory with beer, is the more you drink, the lighter it gets. The more you drink, the further you get. The more you drink, the easier it is. Lesson Learned! But I still drink in the B/Country, most likely always will. Till I grow up. When is that again? One weekend trip with a friend, when my Yellow Lab X Pooch was alive, I filled Poochs garbage bag lined pack with ice and added a Fosters to each side, that was our treat that evening. If by myself and there will be snow, I'll pack one or two beers, I'm not much of a beer drinker. Not "booze", but any of these would fit the bill for me at the moment . On a hot day, sitting in the shade, my feet into some fresh stream,some of this fresh water and pastis into my glass (or cup...). Vodka, scotch or any stronger stuff for cold days only ! 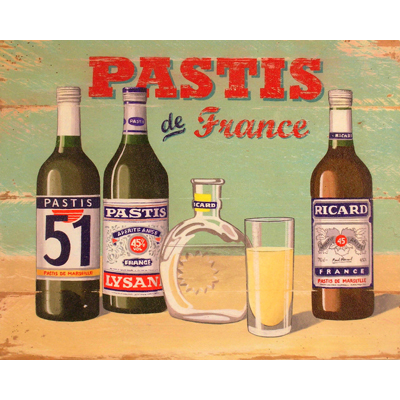 Ah, pastis! C'est magnifique! Forget all this scotch and vodka stuff! I love vodka and all! Haven't you got something like pear , raspberry, plum "eaux-de-vie" on your side of the water? And no, we don't drink Everclear, here! Moderation is the key when it comes to booze at altitude, but an occasional gatorade mai tai really hits the spot after a warm day on the trail! A bit of "blue" gatorade, a bit more "red punch" gatorade and - the clincher - Meyer's Rum. Learned this at the NaPali Coast (Kulalu Trail) in Hawaii. Aargh! Why ruin good booze by mixing with Gatorade, of all things? Taste is an individual matter. As the Romans said, de gustibus non disputandem est. I too like gatorade mixed with alcohol...any alcohol. I don't like the taste of wine, for example. But wine with gatorade is great! My wife gets mad at me when I mix an expensive wine with gatorade but it tastes so much better than when I drink the wine straight that I can't resist. I can handle almost all booze, cept everclear (yikes on that) as long as its not mixed with aspertame. I can literally smell aspertame in coolers, its in all chewing gum, gatoraid, (dont know how to spell it cuz I never drink it) Diet food, some freeze dried foods I seen. YUCK! This stuff is not good for you! REAL sugar is better for you than the chemicals for heavens sake. I avoid either high fructose corn syrup (nasty stuff for your health!) and artificial sweeteners (equally nasty! ), thank you. I don't like things that are really sweet, which is another reason I avoid the high fructose stuff. I actually don't take booze when backpacking. 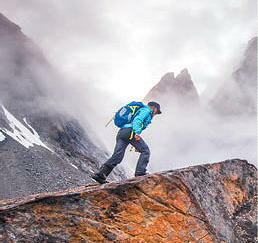 When I'm out there, I'm already high just on being in the wilderness! To each his own (shorter version of Aimless' Latin)! Or, as the French say, A chacun son gout! Oh - I think by avoiding the chems and ingesting all kinds of booze should offset the net benefits! When I was vacationing in the Philippines a German friend observed my Filipina wife mixing beer and Pepsi. He said in a sad voice, "That would make a German cry!" That would make a German cry haha, and me!